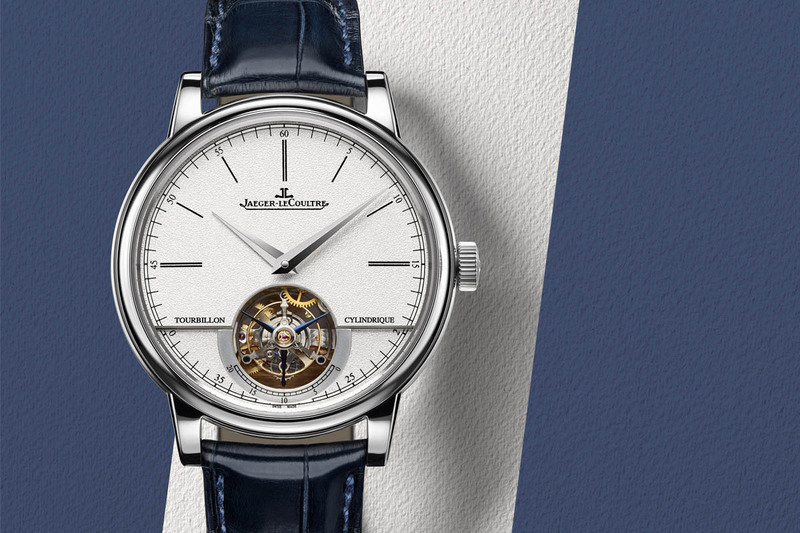 The Jaeger-LeCoultre Gyrotourbillon is back and packs an impressive combination of complications. 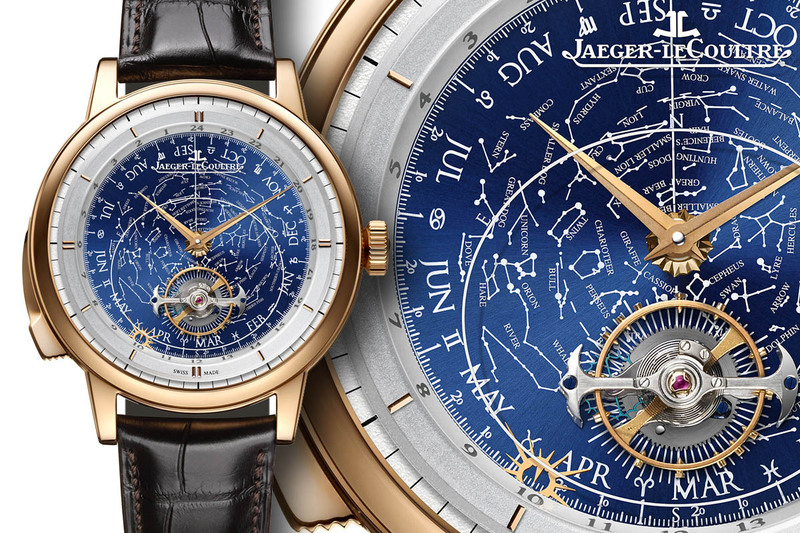 In a bold move that underscores its technical abilities, Jaeger-LeCoultre unveils a grande complication watch featuring a staggering combination of complications: a multi-axis tourbillon driven by a remontoir d’égalité, a minute repeater with Westminster chimes, a perpetual calendar… and more. 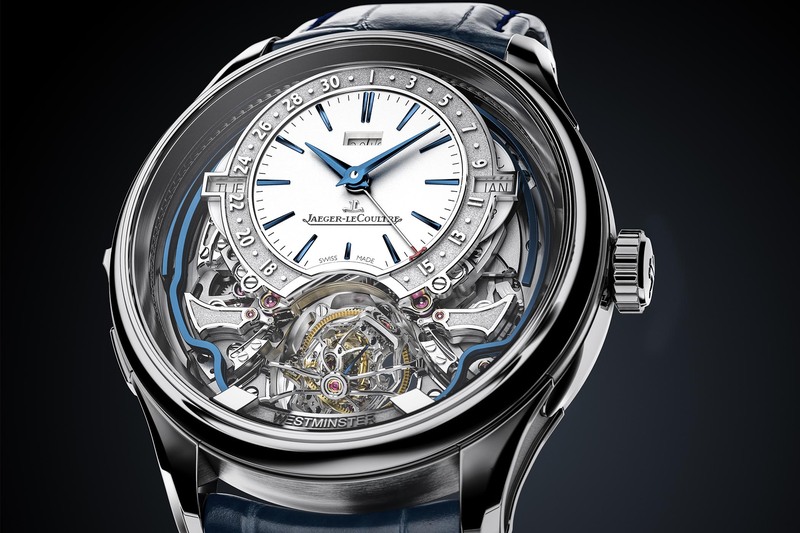 Meet the new (and superb) Jaeger-LeCoultre Master Grande Tradition Gyrotourbillon Westminster Perpetuel – a.k.a The Gyrotourbillon 5. Over the past few year, Jaeger-LeCoultre had become very quiet on the ultra-complex watch scene – at least quieter than during the flamboyant early 2000s period. 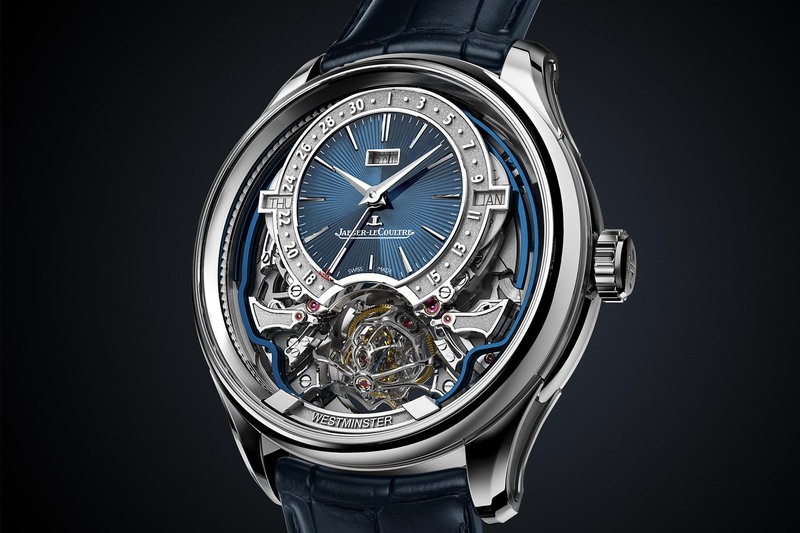 Well, this is over… much to our delight, as few names in the world of Haute Horlogerie are capable of creating watches such as the new Master Grande Tradition Gyrotourbillon Westminster Perpetuel. Presented as part of the SIHH 2019 collection, this impressive timepiece is the 5th Gyrotourbillon. 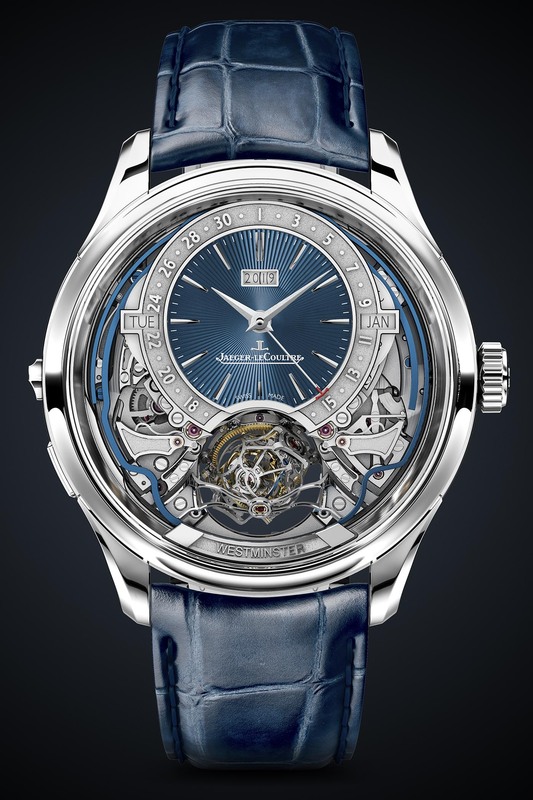 In 2004, Jaeger-LeCoultre shook up the industry with the presentation of its first multi-axis tourbillon. Theoretically, this spectacular and complex solution frees the movement from the adverse effect of gravity, averaging out positional errors by addressing the change of rate from the horizontal and vertical positions. The Gyrotourbillon I was followed by the Reverso Gyrotourbillon 2 (2008), the Master Grande Tradition Gyrotourbillon 3 Jubilee (2013), and the Reverso Tribute Gyrotourbillon (2016). And there is more. 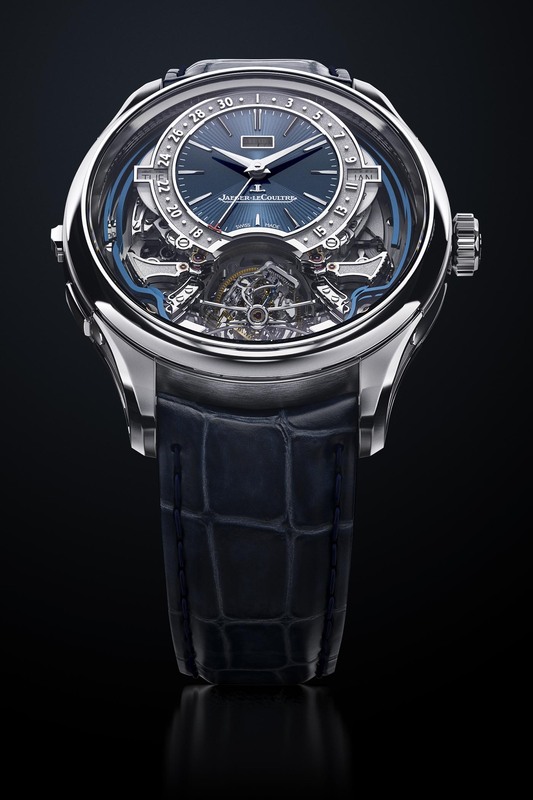 The Master Grande Tradition Gyrotourbillon Westminster Perpetuel features a constant force mechanism. The varying driving force delivered to the regulating organ of watches affects their rate. 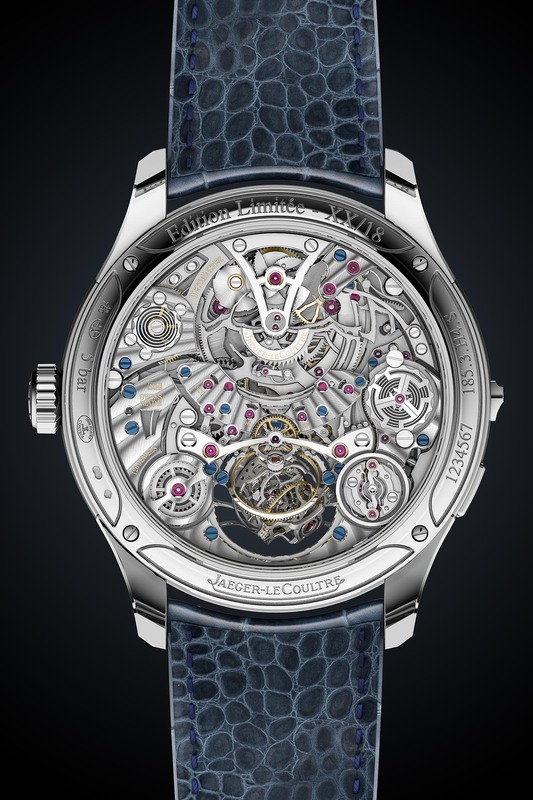 To address this issue, Jaeger-LeCoultre has incorporated a remontoir d’égalité. This mechanism consists of a second spring that is periodically rearmed by the mainspring, isolating the power-hungry tourbillon regulator from the varying torque of the barrel. In this instance, the remontoir is also used to regulate the motion of the minute wheel, creating a jumping minute that offers precision in time display. In addition, this eliminates chiming errors for the minute strike mechanism. The Westminster minute repeater replicates the chimes of Big Ben thanks to a set of four gongs and hammers (Sol-Do-Ré-Mi as engraved in French on the movement or G-C-D-E). 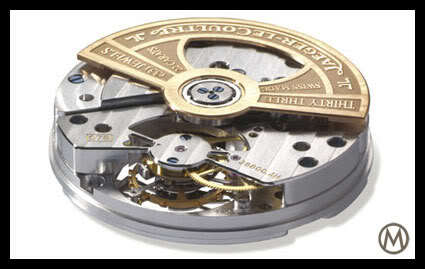 Its mechanism incorporates several Jaeger-LeCoultre innovations in the field of striking watches. A silence-reduction function is built-in to optimize the melody cadence. Trebuchet hammers (articulated and sprung) allow for strong and quick strikes on the square cross-section, blued gongs that provide an optimal area of contact. These are welded to the watch’s crystal to capitalise on the superior sound transmission qualities of synthetic sapphire crystal to produce a loud and clear chime. Unlike most perpetual calendars, the date of the user-friendly calibre 184 can be adjusted in both directions. The date is indicated on a ring framing the dial and engraved in relief. For enhanced legibility, the pointer jumps over the tourbillon aperture. The day of the week, the month and the year are displayed digitally. 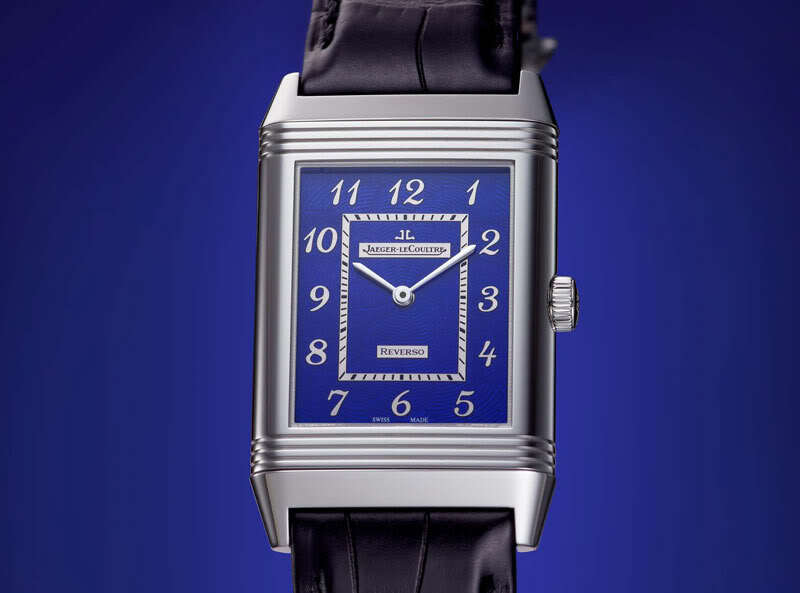 Obviously, wearability has been a prime focus for Jaeger-LeCoultre. This impressive combination of complications is all packed in a white gold case that is just 43mm x 14.08mm (in particular, the multi-axial tourbillon is smaller than the previous generations). Just like for the movement, the case finishing is top-notch with polished and brushed surfaces. 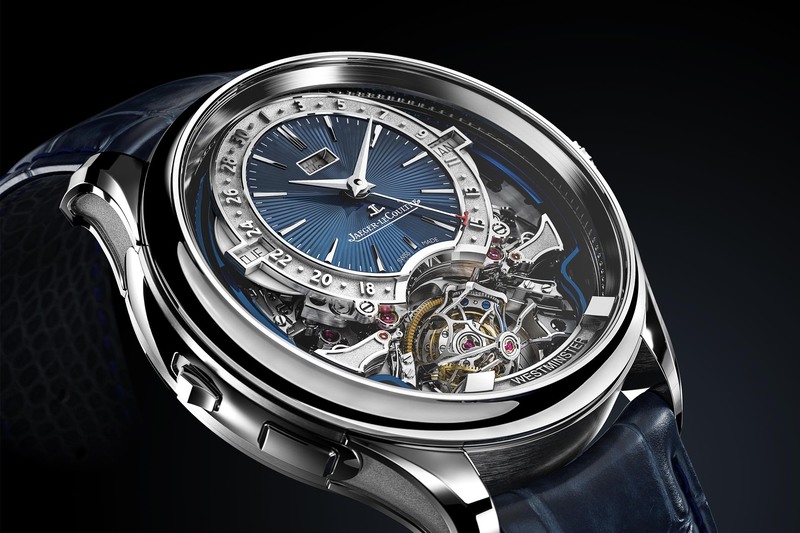 The minute repeater pusher is retractable, which is a nice touch – this innovation was first introduced in the Master Ultra-Thin Minute Repeater Flying Tourbillon. Two dial options are available for this limited edition of 18 watches: blue guilloché enamel or silver-grained. An alligator strap with alligator lining adds the finishing touch. The price for both editions will be EUR 800,000. 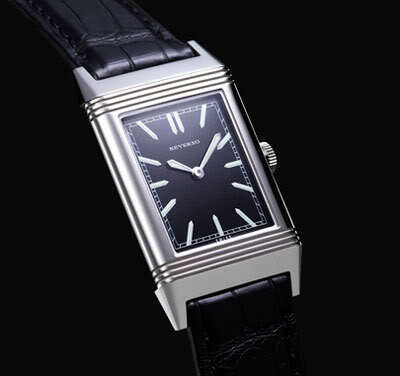 For more information, please visit www.jaeger-lecoultre.com. Sweet mother of God look at that movement. It’s like JLC does Bovet. I suspect this one is aimed squarely at ultra-wealthy Chinese clients. OMG! 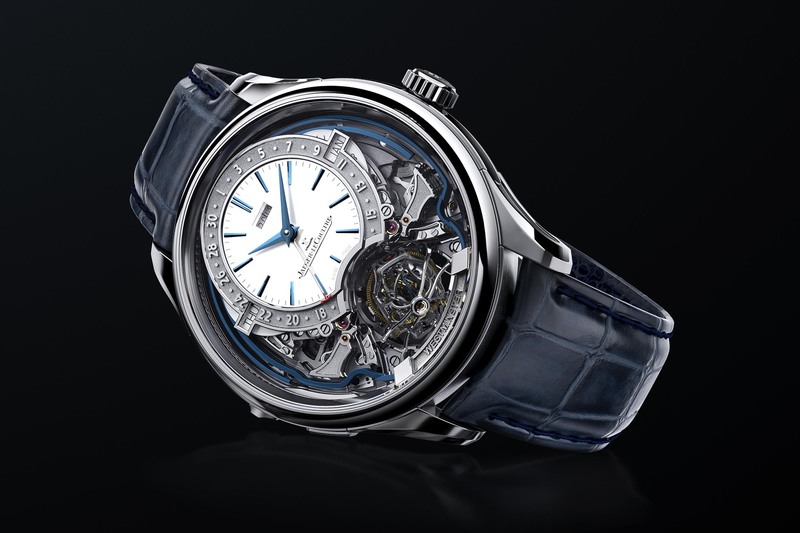 The movement looks alien… and the Gyroturbillon is just mesmerizing The watchmakers of the watchmakers: well deserved title!